Roston Lamar Chase is a cricketer from West Indies who has recently been a pivotal part of the side. The man from Barbados was born on 22nd March 1992. He is a dependable right-hand batsman who carries with him the ability to soak up the pressure, despite being the frontline spinner for the West Indies side. Through his performances, he has shown that he has the ability to save a match and takes wickets at crucial junctures of a match. The Barbadian has an average of 38.03 in the 17 Test matches he has played so far, where Chase has scored 1065 runs. Chase has taken 17 wickets in his test career at a not so impressive average of 52.23. West Indies is a pool house of talent; but sadly, a major chunk of the talent gets drawn towards the glittering T20 leagues and eventually has big stakes in the globe in different leagues. The off-spinner bats low in the order but have shown in his short career so far that he can bat for draws, a trait which is diminishing fast in the Caribbean Islands. In July 2017, he was named as the Cricketer of the Year and Test Cricketer of the Year by the West Indies Players' Association. Chase got his maiden Test call-up for the series against India in 2016 and in only his 2nd Test returned with exceptional figures of 5/121 before scoring an important knock of 137 on the final day to draw the Jamaica Test. He made his ODI debut for the West Indies against Afghanistan on 9 June 2017. In only his 2nd Test returned with figures of 5/121 before scoring a defying knock of 137 to defy India a victory on the final day to draw the Jamaica Test. The rare feat made Chase only the fourth West Indian, after Denis Atkinson, Collie Smith and Sir Garfield Sobers, to take a five-wicket haul and score a hundred in the same Test match. It wasn't just to be a one innings effort, or just simply a flash in the pan. In the following year, his two centuries nearly saved a home series against Pakistan - only for his team to lose the final Test and the series in the penultimate over of the match. 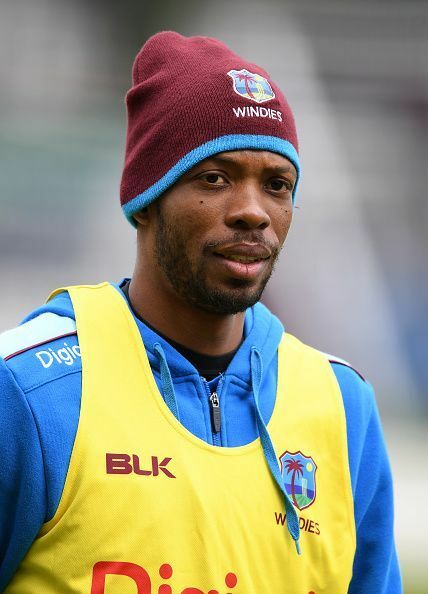 In a West Indies team crying for quality, Chase has shown he has it in him to forge an excellent Test career, despite being a part of the West Indies Squad lately. Chase has not really forayed into the glitz and glamour of T20 Cricket, with which you normally associate West Indies Cricket with. He has been an integral part of the Barbados side in his illustrious list A career right from the 2011 season till now.